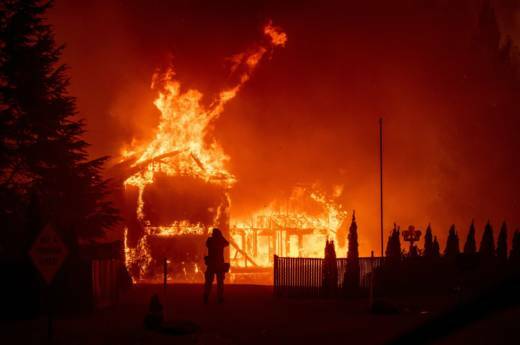 This week the Camp Fire burning in Butte County became the deadliest and most destructive wildfire in California history, with 85 deaths reported to date. Five of the most destructive fires and two of the deadliest have occurred in the last two years, according to Cal Fire records. That doesn't count the Thomas Fire in Southern California last year, in which just two people died as a direct result of the fire, but 21 more deaths were attributed to the mudslides that followed the fire. 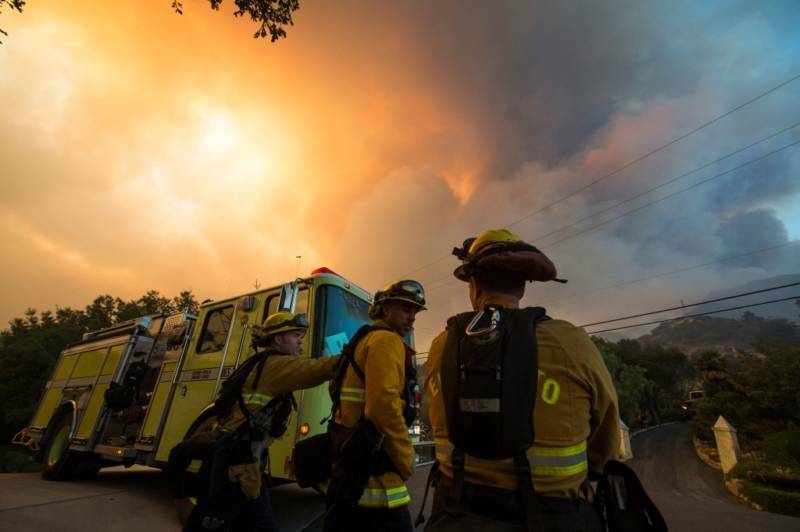 "I've been doing this job for 31 years and probably in the last five, maybe seven years, every year seems to get worse," Cal Fire Chief Scott Jalbert told the Associated Press recently. He attributed some of the extreme fires to drought conditions and strong winds. Over the weekend President Trump twice tweeted that the fires were the result of poor forest management, threatening to withhold federal aid if the problem wasn't remedied. But forest management is just one factor in fire prevention -- with climate change and global warming contributing to an increase in the number of large fires. "Managing all the forests in every way we can does not stop climate change, and those who deny that are definitely contributing to the tragedies that we are now witnessing and will continue to witness," Gov. Jerry Brown said during a news conference over the weekend. Human-driven warming is drying out forests to the point that peak fire seasons in the region have increased every year by about nine days since 2000, according to a 2017 study. Since 1970, average annual temperatures for the region have increased by 1.9 degree Farenheit, about twice the pace of the global average warming, according to data from the Union of Concerned Scientists. Meanwhile urbanization is contributing to the destructiveness of wildfires as more people move into harm's way. What this means is the list of biggest and most destructive fires may need more updating soon. Below are the current top ten largest, most destructive and deadliest wildfires, according to Cal Fire records. See all of our ongoing wildfire coverage. Thomas Fire, December 2017. Ventura and Santa Barbara counties. 281,893 acres burned. 1,063 structures destroyed. Two deaths (with an additional 21 deaths attributed to the mudslides that followed the fire). Cause is still under investigation. Cedar Fire, October 2003. San Diego County. 273,246 acres burned. 2,820 structures destroyed. Fifteen deaths. Sparked by a signal fire from lost hunter. Rush Fire, August 2012. Lassen County. 271,911 acres burned (with an additional 43,665 acres burned in Nevada). No structures destroyed. Zero deaths. Sparked by lightning. Rim Fire, August 2013. Tuolumne County. 257,314 acres burned. 112 structures destroyed. Zero deaths. Sparked by camp fire. Zaca Fire, July 2007. Santa Barbara County. 240,207 acres burned. One structure destroyed. Zero deaths. The fire was caused by sparks from a grinding machine on private property. Carr Fire, July 2018. Shasta and Trinity counties. 229,651 acres. 1,604 structures destroyed. Eight deaths. Sparked by a tractor trailer scraping against pavement. Matilija Fire, September 1932. Ventura County. 220,000 acres burned. No structures destroyed. Zero deaths. Unknown cause. Witch Fire, October 2007. San Diego County. 197,990 acres burned. 1,650 structures destroyed. Two deaths. Sparked by power lines. Klamath Theater Complex, June 2008. Siskiyou County. 192,038 acres. Zero structures destroyed. Two deaths. Sparked by lightning. Camp Fire, November 2018 (ongoing). Butte County. 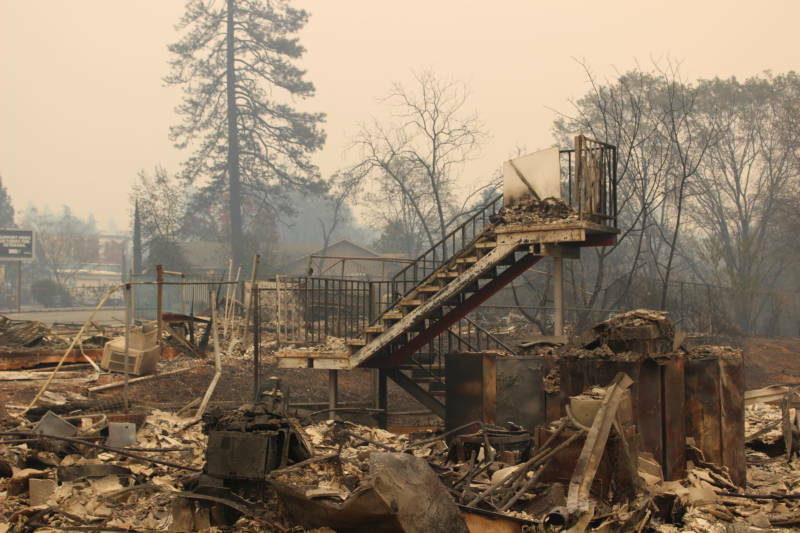 As of Nov. 16, About 16,000 structures destroyed. 151,000 acres burned. 77 deaths. Cause is still under investigation. Tubbs Fire, October 2017. Napa and Sonoma counties. 5,643 structures destroyed. 36,807 acres burned. 22 deaths. Cause is still under investigation. Tunnel-Oakland Hills Fire, October 1991. Alameda County. 2,900 structures destroyed. 1,600 acres burned. 25 deaths. Sparked by a rekindled grassfire and spread by heavy winds. Cedar Fire, October 2003. San Diego. 2,820 structures destroyed. 273,246 acres burned. Fifteen deaths. Sparked by a signal fire from lost hunter. Valley Fire, September 2015. Lake, Napa and Sonoma counties. 1,955, structures destroyed. 76,067 acres burned. Four deaths. Sparked by faulty wiring in a hot tub installation. Witch Fire, October 2007. San Diego County. 1,650 structures destroyed. 197,990 acres burned. Two deaths. Sparked by power lines. Carr Fire, July 2018. Shasta and Trinity counties. 1,604 structures destroyed. 229,651 acres burned. Eight deaths. Sparked by a tractor trailer scraping against pavement. Nuns Fire, October 2017. Sonoma County. 1,355 structures destroyed. 54,382 acres burned. Three deaths. Cause still under investigation. Thomas Fire, December 2017. Ventura and Santa Barbara counties. 1,063 structures destroyed. 281,893 acres burned. Two deaths (with an additional 21 deaths attributed to the mudslides that followed the fire). Cause is still under investigation. Old Fire, October 2003. San Bernardino County. 1,003 structures destroyed. 91,281 acres burned. Six deaths. One man convicted of arson for starting the fire. Camp Fire, November 2018 (ongoing). Butte County. As of Nov. 19, 77 deaths. 151,000 acres burned. About 16,000 structures destroyed. Cause is still under investigation. Griffith Park, October 1933. Los Angeles. 29 deaths. 47 acres burned. Zero structures destroyed. Started as a brush fire, unknown was sparked the fire. Tunnel-Oakland Hills Fire, October 1991. Alameda County. 25 deaths. 1,600 acres burned. 2,900 structures destroyed. Sparked by a rekindled grassfire and spread by heavy winds. 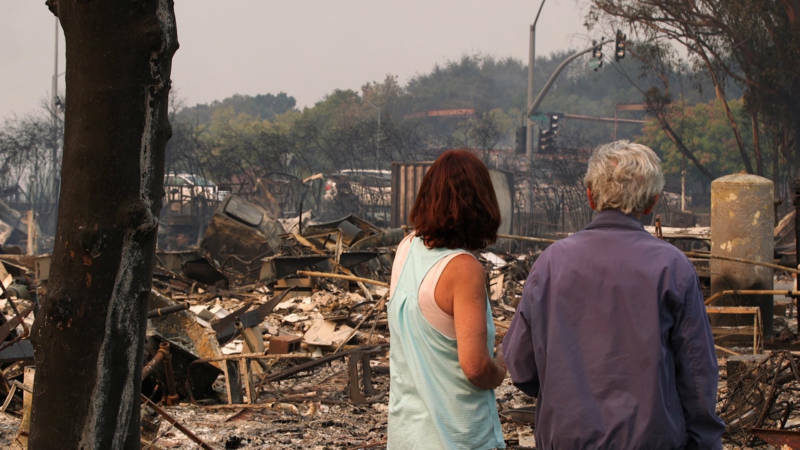 Tubbs Fire, October 2017. Napa and Sonoma counties. 22 deaths. 36,807 acres burned. 5,643 structures destroyed. Cause is still under investigation. Cedar Fire, October 2003. San Diego. Fifteen deaths. 273,246 acres burned. 2,820 structures destroyed. Sparked by a signal fire from lost hunter. Rattlesnake Fire, July 1953. Glenn County. Fifteen deaths. 1,340 acres burned. Zero structures destroyed. Started as arson. Loop Fire, November 1966. Los Angeles County. Twelve deaths. 2,028 acres burned. Zero structures destroyed. Sparked by power lines. Hauser Creek, October 1943. San Diego County. Eleven deaths. 43,904 acres burned. Zero structures destroyed. Cause unknown, likely sparked by a wayward bullet from a military training exercise. Inaja Fire, November 1956. San Diego County. Eleven deaths. 1,345 acres burned. Zero structures destroyed. Sparked by a match at a campfire site. Iron Alps Complex, August 2008. Trinity County. Ten deaths. 105,855 acres burned. Ten structures destroyed. Sparked by lightning. *Though only two deaths were attributed to the Thomas Fire in December 2017 in Ventura and Santa Barbara counties, 21 people died as a result of the mudslides that followed the fire.